The above scene is an evocative moment in Musashi Miyamoto (1954), the first film in Hiroshi Inagaki’s Samurai trilogy. Musashi, heretofore called Takezo, has been imprisoned in Himeji Castle by the wily (and wise) Buddhist priest Takuan for three years. He has just stepped out of the castle for the first time and takes a look back at the walls that held him while he learned to tame his wild impulses. I first saw Inagaki’s trilogy at a seminal point in my life. I had just moved to Los Angeles to start studying film history and criticism at UCLA. Before my classes began in January 1967, the Toho La Brea theater began screening Musashi Miyamoto. 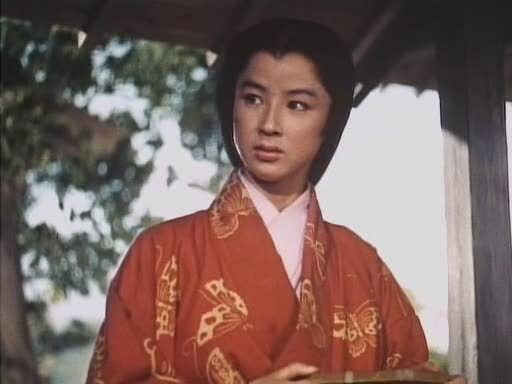 In the following months, Duel at Ichijoji Temple (1955) and Duel on Ganryu Island (1956)—the remaining films of the trilogy—were to be shown. 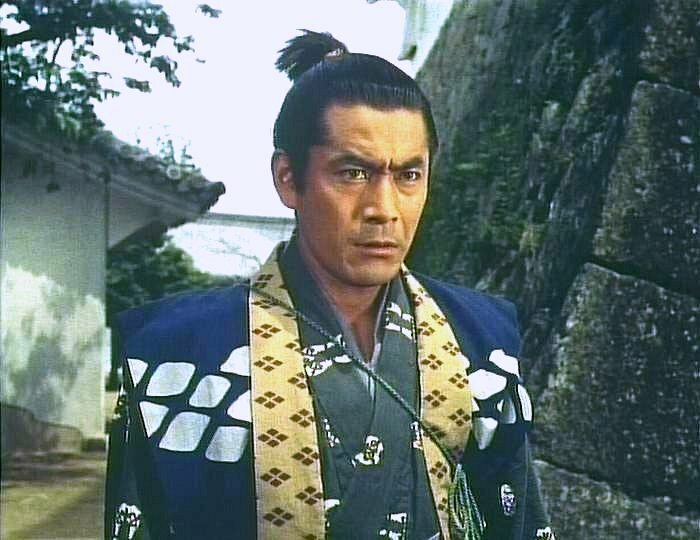 Although I had seen many films at Dartmouth College, I was just starting to get into the whole jidai-geki genre. Also, I fell in love with Kaoru Yachigusa, the perennially frustrated love interest in the trilogy. In fact, I got so much into it that, in June, I moved to an apartment on Mississippi Avenue, right in the heart of the Sawtelle Japanese-American neighborhood. At that time, there were two Japanese restaurants around the corner, the O-Sho and the Futaba Grill, where I frequently dined, learning how to tame those unruly chopsticks. My ignorance was still pretty much in evidence: I took the squares of tofu in my miso shiru soup to be shark’s fin. Before long, I was going with my film friends to all five Japanese movie theaters in Los Angeles: Not only he Toho LaBrea, but the Kabuki (Shochiku Studio) and Kokusai (Daiei Studio) near Adams and Crenshaw, and the Sho Tokyo (Daiei Studio) and Linda Lea (Tohei Studio). Now all five theaters are gone, but back then, I collaborated with two of my friends (Alain Silver and Jim Ursini) in a column for The UCLA Daily Bruin entitled “The Exotic Filmgoer,” which commemorated not only the Japanese theaters, but some of he others. We wrote under the collective pseudonym of Tarnmoor. The Criterion Collection has released DVD and Blue-Ray editions of the Samurai trilogy, which are well worth your while.